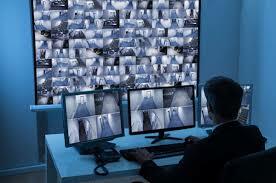 "A major security system is that of Closed-Circuit Television (CCTV), which permits viewing, in real time or through recordings, any activity occurring in the environs of the installations being protected. CCTV systems are undergoing continuous development and are increasingly offering improved techniques and more control and management possibilities to the end user, such as for example intelligent video analysis, reduction in camera size, continuous increase in the resolution of the images taken, increase in image-capturing distances and angles, video surveillance with thermal cameras, etc. For all these reasons ISN Technologies, are undergoing a continuous training process to adapt to new technologies, not only from the installation and configuration point of view but also from the point of view of the design and development of comprehensive systems, allowing us to offer our clients the best technical-economical solutions. "